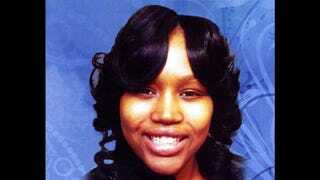 According to jurors in the Renisha McBride murder trial, no one believed the shooting was an act of self defense. Wafer's conflicting statements ultimately helped the jury reach its verdict on the second day of deliberations. "It's a tough case," the juror said. The jury doesn't believe Wafer is a "bad guy," the juror said, but "what he did is wrong." That's the conclusion the juror reached. The juror said Wafer's home was well-built and secure, and he could have turned on the porch light or looked out a window. The juror said while his defense was that he was acting in self-defense, the fact that he initially told police the shooting was an accident "hurt him big time." The only real dilemma for the jury was whether to convict him of second-degree murder or a lesser charge of involuntary manslaughter. The juror said some members broke down and cried during deliberations. The juror didn't think Wafer, who did building maintenance at Detroit Metro Airport, should spend the rest of his life behind bars, but McBride's father disagrees. Walter Simmons, McBride's father, said at a news conference after the verdict that he wants to see Wafer sentenced to life in prison. At the news conference, McBride's mother, Monica McBride, said Wafer committed cold-blooded murder. "That was no accident. That was not self-defense," she said. "He did murder." Wafer now awaits sentencing next month. McBride's family recently filed a $10 million wrongful death lawsuit against him.